There's nothing more dangerous than a familiar face. Opening weekend $321,515 on 7 screens. Back in the early 21st Century, Robin Williams tried to change his clean-cut image and I loved it. Although he created a few serious roles – and one that won him an Oscar via Good Will Hunting - his films usually seemed safe and audience friendly. 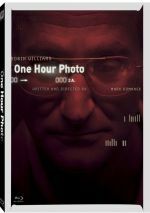 However, with 2002’s One Hour Photo, he blew away that image with a disturbing performance as Seymour “Sy” Parrish, a polite middle-aged photo lab technician at suburban mass retailer SavMart. Sy’s the type of guy we run across everyday in every town across America and is the type of person to whom we seldom give a second glance. Sy’s busting his chops at a minimum-wage job and eking out a living taking crap from folks at a one-hour photo lab. However, hearing Sy tell it, he’s performing an invaluable service to mankind and he loves his work. However, when we first meet Sy, he’s having his picture taken – at a police department – and he’s being interviewed by an investigator (Eriq LaSalle). Sy has been placed under arrest for something he did to the Yorkin family. After a little bit of back and forth banter between he and the investigator, Sy begins to tell his story. The filmmakers have given Sy a rather non-specific psychosis, as the character is just generally weird and disturbing. There are no sexual overtones between Sy and various characters and it ultimately boils down to the fact that Sy is simply lonely and he lives his life vicariously through the Yorkin family and what he sees as their idealistic life. The fact that he’s an interloper and nothing more is something Sy simply can’t stand and finally, his loneliness turns to obsession/fixation/neurosis and he follows through on his mania with disturbing results. While One Hour Photo is definitely Robin Williams’ show from beginning to end, he’s aided by a very capable supporting cast. Included in that field is the man responsible for the vehicle in the first place, writer/director Mark Romanek. Romanek comes from a music video background where he’s probably best remembered for Nine Inch Nails’ groundbreaking video for “Closer”. One Hour Photo is quite an impressive first outing - Romanek expertly manipulates our sympathies throughout the film and throws in some sweet surprises along the way to make it all the more interesting. He puts a new, disturbing twist on the dark undercurrent of the suburban nightmare and shows us that we can be terrorized in broad daylight by those we see as familiar just as easily as we can by some anonymous monster that hides in the shadows. Gary Cole echoes his “managerial role” from Office Space, but this time, other than the fact that he plays the part straight, the stakes in One Hour Photo are a bit more serious. Michael Vartan and Connie Nielsen play a believable middle-class couple coping with the day-to-day rigors of marriage, as well as a family dealing with the consequences of having a delusional, demented stalker who has quite an unhealthy interest in their family. Robin Williams owns and completely inhabits his role as Sy. While previous roles against type in Death To Smoochy and Insomnia worked well for him, Williams excels here. In a stroke of genius, Williams plays his character as more sad than evil, possessing more repressed rage than he ever displays. Although he does some evil things, Sy manages to become a sympathetic character in the end, as he seems to have a genuine desire to connect with those around him. This role was a major departure for Williams and he absolutely knocked it out of the park. His comforting smile and smirk have now become disturbing rather than reassuring and in my opinion, this is the best role I have ever seen Williams in. He helps make One Hour Photo a dynamic and involving drama. One Hour Photo appears in an aspect ratio of approximately 1.85:1 on this Blu-Ray Disc. This was an erratic but acceptable presentation. Overall sharpness seemed fine. Occasional shots came across as a bit soft, but those remained in the minority, as the movie usually appeared reasonably well-defined. I saw no jaggies or moiré effects, but some light edge haloes. With a good layer of grain, digital noise reduction created no concerns, and the image came with a small mark or two but no other flaws. Colors tended to reflect Sy’s view of the world. When left on his own, the image veered toward sickly greens or yellows, but when he dealt with the Yorkin family, the palette grew more vivid and natural. Within the stylistic constraints, the Blu-ray exhibited fairly good colors, though I thought they could be a bit weak at times. Blacks were fairly deep and dense, while most shadows showed positive clarity; a few interiors appeared a bit mushy, though. This wasn’t a great image but it seemed good enough for a “C+”. As for the film’s DTS-HD MA 5.1 soundtrack, it lacked a lot of ambition, which was fine for a psychological character piece like this; after all, the story didn’t come with many opportunities for theatrics. The soundfield opened up as the movie went along, however, and it involved us in Sy’s psychoses; these used the various channels to create a decent sense of intensity. Otherwise, the film tended toward general atmosphere and not much else. In terms of quality, the audio worked fine. Music was full and rich, while effects showed good accuracy and heft. Speech remained distinctive and natural. This wasn’t a killer mix but it suited the film. Photo comes packed with extras, and we open with an audio commentary from writer/director Mark Romanek and actor Robin Williams. Both sit together for a running, screen-specific look at story/character areas, cast and performances, sets and locations, costume and production design, themes and influences, and related areas. Expect a rather subdued, introspective chat here. Even though Williams indulges in some comedy, he keeps his trademark manic wit suppressed for this low-key conversation. Indeed, it sounds like Williams and Romanek recorded it in a library, as they tend to speak in hushed tones. This doesn’t reflect negatively on the content of the piece, though, which is usually very good. We learn quite a bit about the movie’s nuances and techniques in this rich, informative conversation. The remaining extras split into three areas. Under Pre-Production, we open with Storyboards. These cover four different scenes with still frames that display the boards. I like these, though I’d have preferred a more active film-to-board comparison format. Within Location/Tech Scouting, we find “Multi-Angle Vignettes”. “Location Scout” covers 24 minutes, 20 seconds of footage and lets you switch between two angles: “Location Scout” and “Scout/Final Film Comparison”. “Tech Scout” fills a total of eight minutes, 35 seconds and works the same way. These let us see Romanek at locations and hear him discuss their potential use. This becomes a cool and informative extra. “Pre-Production” concludes with Cast Rehearsals. These cover four scenes and occupy a total of 20 minutes, 57 seconds. At various times, they involve Williams and fellow actors Dylan Smith, Connie Nielsen, and Gary Cole. Like the scouts, we find another fun glimpse behind the scenes. With that, we head to Production and the 25-minute, 33-second Lensing One Hour Photo. It delivers notes from Romanek, Williams, Nielsen, producer Christine Vachon and actor Michael Vartan. The featurette looks at the movie’s origins and development, story/character areas, cast and performances, what Romanek brought to the project, storyboarding, visual design and cinematography, and some other areas. Unlike standard featurettes, “Lensing” never shows the speakers; it displays footage from the set while the participants speak over the shots. I like that format, as it allows us to see a lot of interesting behind the scenes material while we still learn about the shoot. It’s a good program. A Cinemax Featurette goes for 13 minutes, 22 seconds and involves Romanek, Williams, Nielsen, Vartan, Vachon, and producer Pamela Koffler. The program examines the flick’s origins, story/characters, cast and performances, and visual choices. Most of the comments already appear elsewhere, and we see many of the behind the scenes shots in other places as well. It’s not a bad featurette but it’s fairly redundant. Everything else shows up under Post-Production. A Main Title Test lasts one minute, 24 seconds and shows a sample version of the opening credits. It’s okay but it’d be more interesting if it included commentary to discuss the techniques. Sy’s Nightmare Elements runs 38 seconds. It delivers a quick run-through of the elements used for one spooky scene. Again, it’s decent but it could use some explanation. From 2002, we see Romanek and Williams appear on The Charlie Rose Show. This segment fills 35 minutes, 57 seconds and puts the director and actor at the table with Rose to discuss the film’s genesis and aspects of its development, story and characters, how Williams came onto the project, cast and performances, visual design, and some related topics. Williams dominates and egged on by Rose, he spends much of the time dispensing his trademark comedic riffs. That’s fun, but it means we don’t learn as much about the flick as we might expect from a fairly long interview. Romanek looks alternately amused and annoyed; he seems to like Williams’ routine but appears bothered that the discussion of the movie itself goes so far off-track. This is a fun enough piece – it’s just not terribly informatiive. Another featurette called Anatomy of a Scene occupies 27 minutes, 52 seconds and features Romanek, Williams, Vachon, Koffler, Vartan, costume designer Arianne Phillips, editor Jeffrey Ford, cinematographer Jeff Cronenweth, production designer Tom Foden, and producer Stanley Wlodkowski. They cover the usual filmmaking topics but place an emphasis on the sequence in which Sy bumps into Will at the SavMart. I like the specificity of the piece and think it sheds good light on the subkect. In addition to the film’s Trailer, we see three TV Spots. Poster Explorations finishes the set with 32 stills that show advertising ideas. I especially like that gallery, as I think it’s fun to see the promotional notions that didn’t get utilized. An interesting psychological drama, One Hour Photo allowed Robin Williams to step away from his usual family-friendly image. He does so well and helps make this a compelling experience. The Blu-ray provides acceptable picture and audio as well as a strong set of bonus materials. 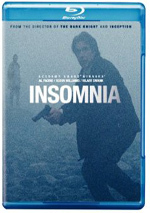 The quality of the image disappoints somewhat, but this still ends up as a decent release for a compelling film.